I had a bit of a layoff there… posting a couple of times a week all year sure takes the stuffing out of a fella, what with real life to be lived. But here’s something I can get passionate about. I mentioned in a previous post my time as a raging international prog-head. I’m sort of in recovery from that, having overdosed on hundreds of records for several years then realizing that while it was an interesting journey, some prog is obscure because it’s not that good. 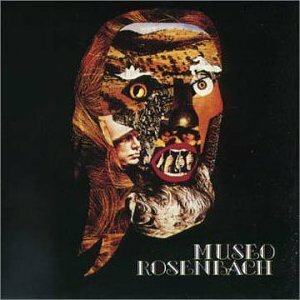 Of course, there were many, many gems unearthed along the way, so I’m glad I went through this phase, because when progressive rock is at its best, there is no more artistically or emotionally satisfying brand of rock and roll, what with the willingness to push boundaries and experiment that you just don’t find in other rock genres. 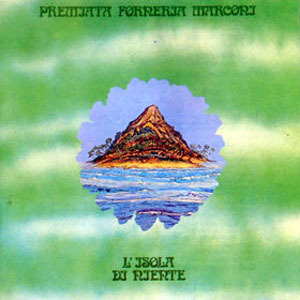 In the 1970s, prog-rock was very popular in Italy, and it’s no surprise, really. As one of the spiritual homes of Western art music, not to mention opera as well, Italy is a very musical place with a vibrant musical culture. And due to this open-mindedness (the same expansive mindset that allows a plethora of still-vibrant age 60+ rock stars to continue to go platinum there), Italian listeners were very open to the explosion of new musical ideas in the post-hippie years. All kinds of progressive music flourished there, though it seems the bulk of the material produced is at the Romantic, classical-influenced end of things, which I guess is what one would expect from a culture so acculturated to big statements. Nonetheless, lots of weird and dark music came out of that scene too, as well as acid folk (Claudio Rocchi’s work is particularly good) and psychedelia. If you want to check out the definitive database of Italian prog, which shows just how huge and talent-laden the scene was (astonishing for a country with a fairly low population), you should visit Augusto Croce’s fabulous and venerable website devoted to Italian prog, where you can spend hours reading about each band’s career and explore the discographies. For an English-speaker, delving into this music really is like taking a trip to a different reality, one in which we learn that Brits and Yanks really didn’t have the monopoly on creativity (and still don’t). There’s a world of music out there, not just traditional forms, but different cultural takes on the development of rock and roll, and the passion of Italian art shines through in their progressive music, which ALWAYS goes for it, full-bore — concept albums with fancy storylines galore! Outrageously huge classical motifs! Giant slabs o’ mellotron! This stuff has it all. Here are ten of the finest albums. These will not be new at all to anyone who’s heavily into progressive rock, but for the rest of you they will be new and hopefully fascinating. If anyone reads this, I already smell a part II, because I’m just scratching the surface here! There were three giants of Italian prog, sort of the equivalent of the ELP/Genesis/Yes (honourary member, King Crimson) axis in the UK. Le Orme is one of them. This three-piece of keys/bass/drums features the soaring, Jon Anderson-like vocals of bassist Aldo Tagliapietra. The music is at the neo-classical end of things, but what distinguishes the band’s identity is a devotion to genuinely melodic songs that actually stick in your brain, even if they’re buried in a longer, more complex suite. Later albums featured shorter, poppier songs and are very pleasant, while the earlier albums are often concept pieces. The story of Felona e Sorona is about two planets that have very different characters! You can’t get any higher-concept than that. Generally considered the band’s classic album, it is indeed a stunning record with spacy organ and synth textures, complex rhythms but also a few really pretty songs as well. Just really well-executed and interesting music. Nothing demonstrates the size and quality of Italy’s scene better than the fact that this album is a one-off by a little known group. Despite that, many consider it the finest Italian art-rock album of all time and an international classic, and it’s easy to tell why. This raw, aggressive and extremely grand album combines instrumental themes of celestial scope with a dark, frenetic energy as weird as Nietzsche himself. The main appeal lies in the title suite (which we can assume is based on that chap’s philosophy), which is 20 minutes long and features one of prog’s greatest earworms, an absolutely gigantic melody blasted out as loud as possible on the mellotron. 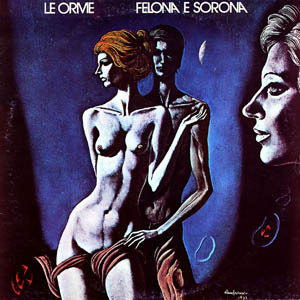 The group’s vocalist is much more typical of Italian singers in general than Le Orme’s, being full-throated and raspy yet strangely operatic at the same time. Most Ital prog singers sound like that — it’s like the whole dang country is made up of these talented people! The rest of the album is good, but really you have to hear it just for that incredible main theme! Highlight track: well, duh. Right about minute 3, the hugeness kicks in! This is one of the most interesting albums in my entire music collection. Osanna was from Napoli, where it seems the culture is a stew of different Mediterranean influences, and this album contains them all. The sound is a mixture of the traditional music heard in this ancient seaport, musique concrète, experimental electronics, backwards tapes and street recordings with extremely aggressive rock riffery and the occasional tranquil passage. Honestly, I’ve never heard anything else like it, this juxtaposition of exotic sounds with frenzied (and that’s the best word for it) rock energy. The two main side-long tracks go through several sections on a wild musical journey, and as with all of these groups, the musicianship is breathtaking — some of the bass runs are superhuman! Despite the electric work being kind of typical post-Hendrix blues soloing (with some nice Fripp-influenced parts as well, to be sure), it’s really hard to find fault with a record this inventive and adventurous. The charmingly named Premiata Forneria Marconi (the Award-Winning Marconi Bakery) was the Italian group to find the most success outside of the country, even having some English-language releases of their albums with lyrics by KC’s Pete Sinfield. They released some real classics, Per un amico and Storio di un minuto being the most popular. But this one is actually my favourite. 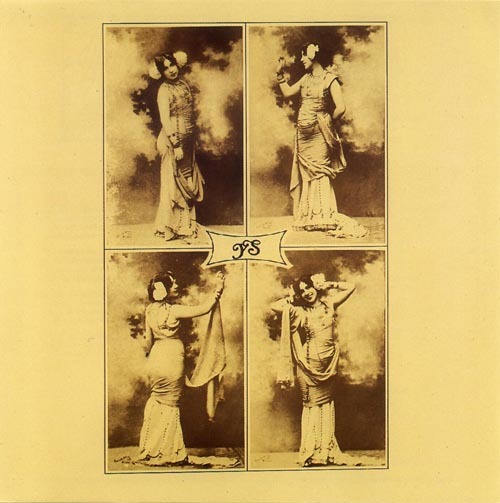 PFM made very accomplished progressive rock similar in style to the English greats, perhaps more on the Genesis side of things with lovely keys, beautiful harmonies and nice acoustic and electric playing. However, because I like things both big and purdy, this release does it for me because the title track is so effing HUGE. Hammering guitar riffs, fluid bass and lead guitar lines, giant mellotronic melodic themes, soaring vocals … and all that after a lengthy choral intro! No, these chaps weren’t holding back. The rest of the album is quite good too, particularly the ballad “Dolcissima Maria” and the jazz-rocky “Via Lumiere”. Highlight track: The title track kicks in heavily around 2:15. 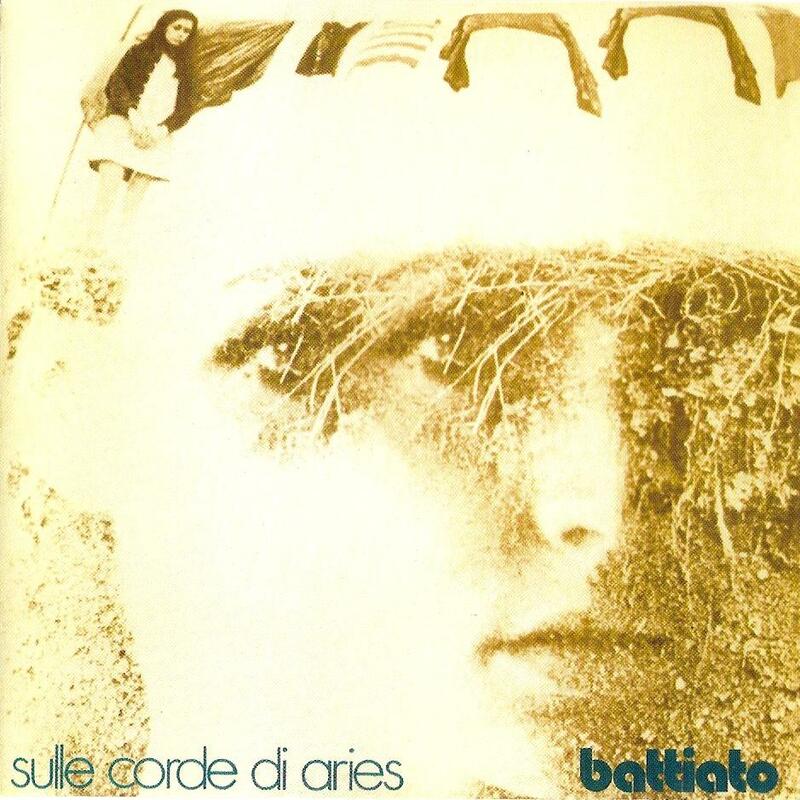 Battatio is actually really well known for his pop career (you may remember his rather odd cover of “Ruby Tuesday” from the nineties) and is one of Italy’s top rock stars. But in the course of a varied career, he has also made experimental electronic music, psych folk and even downright avant garde music. He’s probably one of the greatest rock experimenters ever, and if he sang in English you can bet there’d be a Battiato exhibition, not just a Bowie one travelling around. I chose this record because it kind of rides the line between the more traditionally coherent earlier albums like Fetus and Pollution and the crazy avant garde period preceding Battiato’s more conventional pop career. “Sequence e Frequenze” takes up the bulk of the proceedings, a rather pretty song, but backed up by a nutty combination of electronics, viola and mandola. There’s an electronic edginess that matches the best of Krautrock. The rest of the tracks are similar, a combination of spacy acid/psych folk with electronic excursions. Really great, mind-expanding stuff. 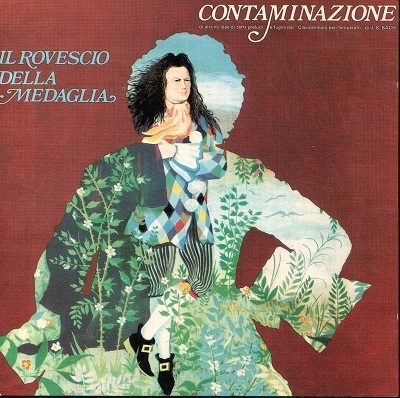 Highlight track: “Aria di rivoluzione“, a totally far-out tune! This absolutely beautiful record is beloved of people with a mellotron fixation, which I share. Indeed, this album contains some of the most celestial use of the instrument that you will ever hear, but there’s more to it. The songs are delicate, acoustic-based numbers that make me think of Roman fauns and suchlike cavorting around a magical garden. OK, well, that appeals to ME! Violins, flutes, horns, glockenspiels, restrained vocals and nylon-string guitars help set the mood for the meandering, dreamy songs. And oh the mellotron! The mellotron!!! It’s a bit of a shame that more wasn’t heard from this group, because I could listen to this stuff all day, almost every day. If you loved the mellotron on The Court of the Crimson King and you haven’t heard this, well, you’re about to blow your mind! A true classic of contemplative music. 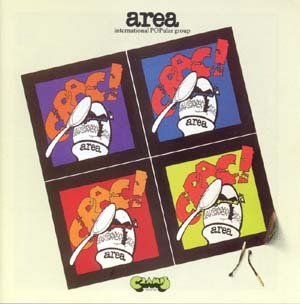 Italy was actually a pretty radicalized place politically at that time, with a heavy left-wing presence, and one of the musical results was this hard-charging leftie jazz-rock group, which pulled no lyrical punches but also took no prisoners musically. This isn’t pretty jazz-rock, it’s aggressive in the same way (though not in the same style) as the heavy-handed (gloriously so) Van der Graaf Generator, with the songs making their political points by hammering right through your skull. 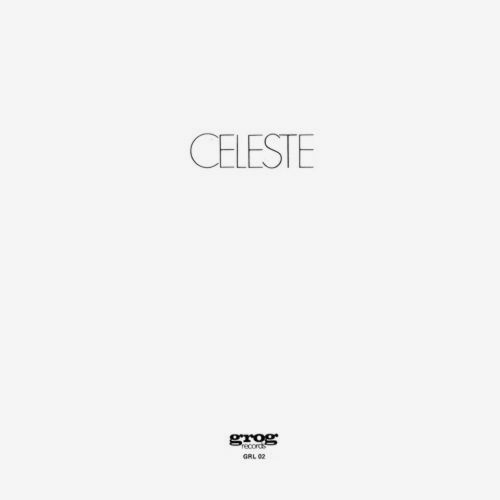 There are also some great Middle Eastern and experimental electronic influences on display. But it wasn’t just that — the vocalist was legendary experimental singer Demetrio Stratos, whose almost physically impossible ululations, contortions and weird throat noises are both disquieting and appealing at the same time. This, their most consistent album, is one heavy trip! This is not one of the best-known albums but is one of the best. Of all the groups, this one and maybe Latte e Miele were likely the ones that most shamelessly employed classical motifs — this album taking the pieces of Bach’s “Well-Tempered Clavier” and amping them up into high-volume rock and roll. Overbearingly pretentious, you say? Well, go buy a friggin’ Don Henley album then! This is all done quite beautifully, with some lovely spacy keyboard sounds, and you really can’t dispute the majesty of those Baroque melodies, can you? The multi-part vocals are also very beautiful and ethereal. But when this band starts rocking the riffs, they’re not fooling around. Actually, the closest English language equivalent to this expert bombast would be Queen II or Ambrosia, in sonic terms (or even The Raspberries in some places!) rather than, say, Renaissance. It’s all pretty crazy, but dang, I really get off on this stuff. Once the string section kicks in, you know these guys were taking this seriously! One of the best classical/rock fusion albums. 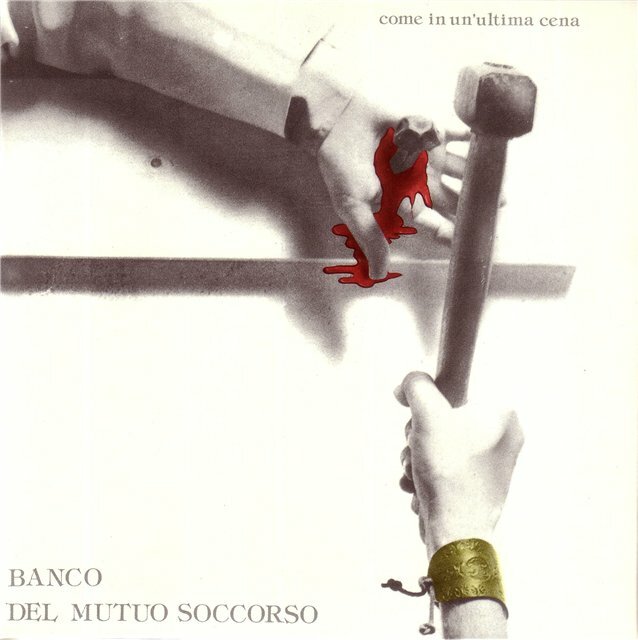 The third of the big three of Italian prog, Banco (full name translates “Bank of Mutual Assistance” or something like that!) was led by the keening operatic vocals of hirsute Francesco Di Giacomo, definitely possessed of one of rock’s most compelling voices. Along with PFM, Banco del Mutuo Soccorso had some success outside of Italy. The band drew heavily on classical and operatic music for its influences. Their most famous album is Darwin, but I always have my favourites, and this is mine. It’s a very dignified set of classy, dramatic prog-rock that mixes the aforementioned influences with some Renaissance styles, some jazz and of course, some great prog-rock keyboards and generally dexterous musicianship. I wouldn’t say there’s anything particularly distinctive about the group beyond Di Giacomo’s superlative vocals, but the music is very, very good and enriching. The pool of talent was so deep in Italy that here’s yet another Neapolitan effort that is outrageously successful. This is a legendary album for its mind-bending inventiveness and ferocity (a concept album about the only man left on Earth). After a spectral avant garde vocal introduction and some ominous organ riffing, we find out why this record is so famous. While many of the motifs used are classical, the intensity once the band kicks in is just crazy, and it’s augmented by totally psycho synth playing and hyper guitar work. 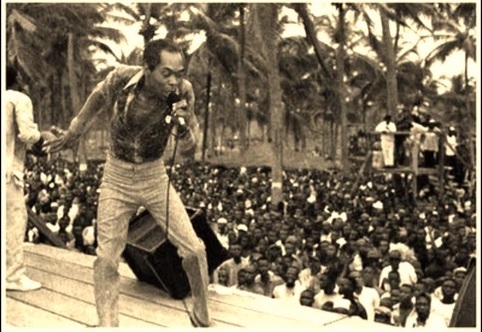 There’s no doubt that sheer volume was part of this band’s raison d’être! The main vocal melody motif of the first two tracks is kind of a Twilight Zone ear serpent, scary but memorable. The album does contain some slightly more tranquil interludes, but they are short and are usually just a segue into bashing us over the head again. This is NOT for the unadventurous, but if you have a yen for experimental rock, then this should do the trick. Didn’t Peter Hammill translate the lyrics for the Le Orme one? I think there was an English version too. I seem to remember seeing them at the Commonwealth Institute in London – or maybe it was PFM. There certainly was an attempt to break some European bands over here in the seventies thanks to Charisma Records. Yeah, and Manticore was putting out some of the stuff as well. Not sure how it all sold! Even Contaminazione had an English-language release. 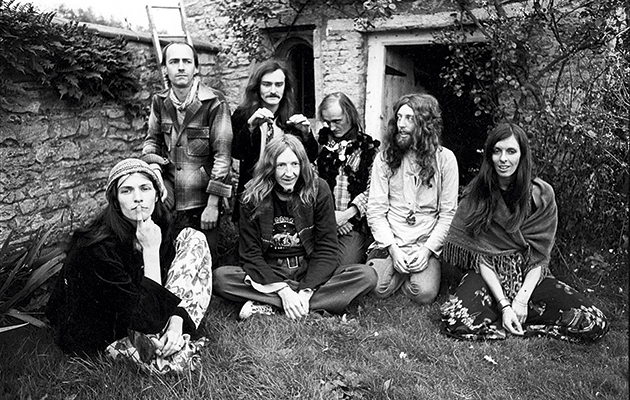 I have the impression that the German bands tended to do better, particularly T-Dream and Amon Düül II. The French were doing okay; Magma, of course, with their nade-up language. But the REAL deal for the French was in folk: Malicorne (Le Bestiaire was fantastic), Dan Ars Braz and Alan Stivell. Some great Cambridge folk festival performances. The Dan Ars Braz mid 1970’s appearance was definitely a life-long memory. I am very fond of Malicorne! Got all their stuff. Just as good as Steeleye Span. I also like Magma, god help me. Didn’t Ar Braz play with Fairport on an album? No, he was in the band briefly but didn’t get to record with them. Swarbrick and he did an amazing gig at the Albert Hall with Stivell in the mid 70s, I was in a seat right above them. He also played at Cropredy with them a few times. Brian Gulland from Gryphon was in Malicorne for the Le Bestiaire album. What a great sound that album has. Love it! Sounds like you were born in the right time, musically speaking. I, however, was not! I strongly recomend Reale Accademia di Musica for all the ones that had never listened their album… Just So powerful and plenty of feelings… And Triade with “1998 La storia di Sabazio”… An incredible album too, with one of the best italians prog ballads of all time “Espressione”. Thanx! Thanks for the comments! Yes, I love Reale Accademia di Musica as well. It’s in my collection! The Triade album I have not heard. You have to!!! I’ve been listening t it for the last four months… You’ll love it. Another one that needs to be put into consideration, is “Campo di Marte” This album is a head-blower by nature. Yes, I have the Campo di Marte album as well – great stuff! Good to see someone who knows Italian prog! Good list! There are some “modern” Italian prog which deserves some attention IMO. That’s for a future list- I hope! This is a fascinating read. Your comments about Brits and Yanks not having a monopoly on creativity chimes with me; for decades I blithely assumed that because English language pop and rock was all I heard, this meant it is in some way inherently better. I’ve Googled ‘best prog rock albums’ and found lists of 50 with nothing from outside the usual English speaking suspects which, having dipped into several of the albums you recommend here, is clearly a serious oversight. Thank you! Yes, it’s a real eye-opener (well, ear-opener really) to realize all this great music is out there, almost completely ignored by Western critics and listeners. And not just in the prog field! Great list! 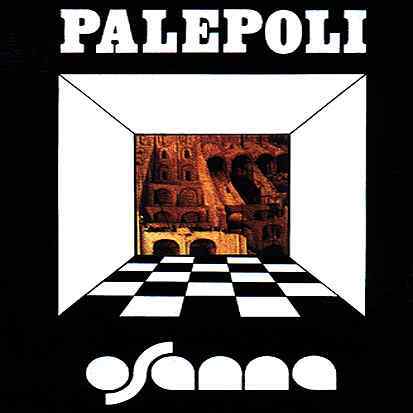 I’m discovering italian prog rock, and it does not cease to surprise me, the incredible amount of high quality bands that developed this genre there. I mean, italian “conventional” rock scene was never a big deal, but italian prog rock scene was beyond words! If you get to see this comment and you feel curious enough to check those two albums, let me know your opinion about them 😉 Cheers!